Many young adults tend to have negative perceptions of people living in poverty, people struggling to get by. Or, worse, they tend not to think much about them at all. As our communities become more homogeneous, it is easier to become isolated from many of the problems facing families and children today. 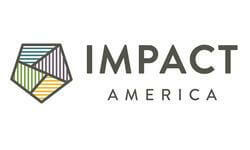 Impact America provides an opportunity for recent graduates to engage with their communities in a meaningful way, broadening their perspectives and making a real impact. AmeriCorps Members serving with Impact America engage with communities through Impact’s five initiatives: FocusFirst, SaveFirst, SpeakFirst, CollegeFirst, and Stories from the Line. FocusFirst ensures that children in urban and rural communities receive comprehensive vision care during their crucial formative years. SaveFirst provides free tax preparation to facilitate economic improvement for working families. SpeakFirst uses academic debate as a platform to support middle school and high school Birmingham students and to guide them on a path toward college excellence. CollegeFirst pairs talented college mentors with promising high school students to strengthen foundational concepts in preparation for the rigor of AP coursework. Stories from the Line navigates the complexities of poverty through a series of short films that chronicle the lives of individuals and families living in poverty. Over the past eleven years, Impact America has engaged 7,500 college students and 250 recent graduates to serve more than 350,000 families across Alabama, Tennessee, South Carolina, and Florida as part of the most successful, state-based service-learning initiative in the nation. FocusFirst provides a cost-effective direct response to the vision problems of children who live in urban and rural communities. Under the supervision of Impact America staff and AmeriCorps Members, undergraduate and graduate students provide free vision screenings to children, ages six months to five years, in Head Starts and daycares using high-tech photo optic scan cameras. All children failing the screenings receive free follow-up care through Sight Savers America. Over 3,000 college students at more than twenty colleges and universities have participated with FocusFirst. Over the last eleven years, these students have screened more than 350,000 children, with approximately 10% of the children failing the screenings and receiving free follow-up care as necessary. FocusFirst provides screenings in Alabama, Tennessee, South Carolina, Mississippi, Arkansas, and Florida. SaveFirst, a high-quality tax preparation initiative, trains college, graduate, and law students to provide free tax preparation services and opportunities for savings to low-income, working families—especially targeting those eligible for the Earned Income Tax Credit. Since beginning service in 2006, SaveFirst has trained over 4,200 student volunteers who prepared tax returns for more than 40,000 working families - helping them to claim more than $73 million in refunds and saving them approximately $11.9 million in commercial preparation fees. SaveFirst tax sites currently operate in Alabama, Tennessee, South Carolina, and Florida. CollegeFirst trains college and graduate students to implement a three-week, Summer Advanced Placement Institute for high-school students in Birmingham and Tuscaloosa, Alabama. Since 2010, 389 college students provided instruction in math, science, and English to 993 high school students. These high school students completed more than 50,000 instructional hours in the program. SpeakFirst enriches the academic experience of talented and motivated students from Birmingham-area high schools through participation in an “all-star” debate team. This highly collaborative initiative addresses a wide array of needs created by the deficit of opportunities and resources in their local communities. Since the inception of SpeakFirst in 2004, our students have participated in more than 973 debate practices, competed in more than 106 tournaments, and won approximately one-half of their debate rounds. SpeakFirst’s first eight graduating classes (thirty-four students) have earned more than $4.51 million in college scholarships. Stories from the Line presents short documentary films that provide a window into the lives of families responding to the challenges of poverty. The sketches provide a counter-narrative to the stereotypes of poverty frequently presented in the media. Our team members conduct interviews, edit audio and video, and compose powerful film sketches that serve as a platform for the voices of community members.